I should start with an apology for the long delay in writing this post. We typically try to get the survey results out before the next class of thru-hikers begins, but grad school has been tough this year so I couldn’t make it happen. I hope this data on footwear (and socks!) is still helpful. 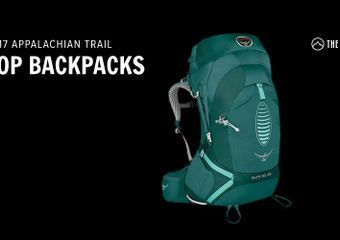 Regardless, here are the Top Trail Runners and Hiking Boots used by 2017 Appalachian Trail thru-hikers. For the details, keep reading, or skip to the TL;DR at the end. 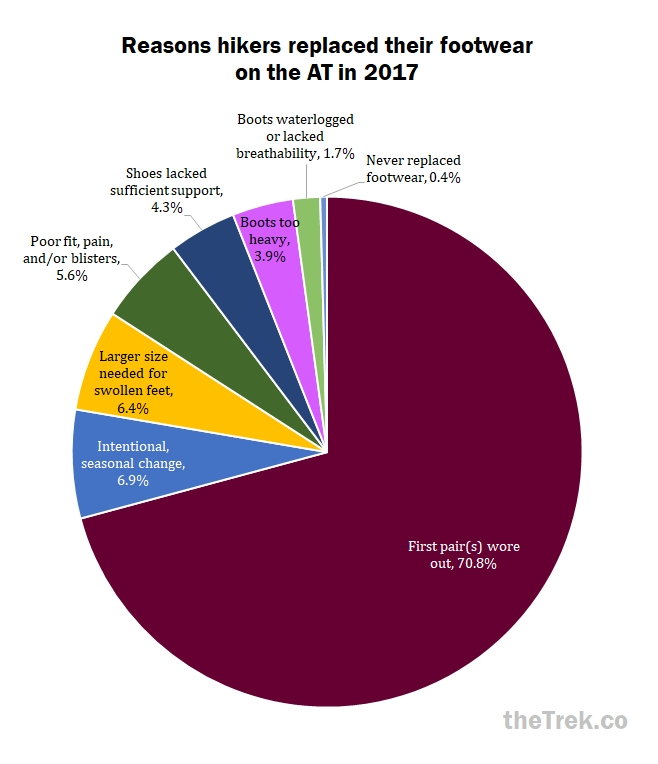 Two hundred and fifty-three hikers participated in the survey, all of whom had thru-hiked or walked a section of the AT in 2017. Three quarters (74.5%) were thru-hikers and the rest were section hikers. 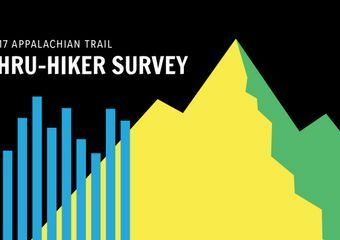 For more details on the hiker demographics, check out our post with general information from the survey. About two-thirds of hikers (64%) started out wearing trail runners and about a third began with hiking boots (32%). Ultimately, about three-fourths (74%) ended up wearing trail runners and only a fifth ended up wearing hiking boots (19%). A small but relevant minority of hikers used moderate support hiking shoes or used minimalist footwear like Chacos. Similarly to what we found last year and the years before, hikers who began with sturdier, heavier footwear were significantly less satisfied than those who began with more lightweight footwear. Also replicating last year’s findings, there was no significant difference between the type of footwear used for the majority of the hike and hiker satisfaction.1 This suggests that many of the hikers who start out with boots are ultimately more satisfied with trail runners, and hikers eventually switched to footwear that was more satisfactory for them. We also asked hikers directly what their reasons were for replacing their footwear. These were their responses: About one-third (29.2%) of hikers had some sort of issues with their initial footwear, while the vast majority of replacements were simply because hikers wore through their shoes. On average, hikers went through three to four pairs of shoes. Looking at thru-hikers only, the average number of pairs of shoes worn was still three to four.4 This is in accord with the conventional advice to replace boots and running shoes about every 500 miles. Still, if you intend to attempt a Fastest Known Time (FKT) or plan to hike more miles per day than usual, you should budget and plan to replace your shoes more frequently than the average thru-hiker. By far the most popular brand of socks worn by long-distance hikers was Darn Tough, worn by two-thirds (66%) of hikers. Darn Tough provides a lifetime warranty, meaning they will replace any pair if you mail them the old pair. A few people (five hikers) specified that they layered Darn Toughs, known for durability, over Injinjies, which are said to prevent blisters due to the toe sock design. Hardly any hikers remembered the models of their socks and there are so many models produced by each of these brands that it was impossible to report this information. 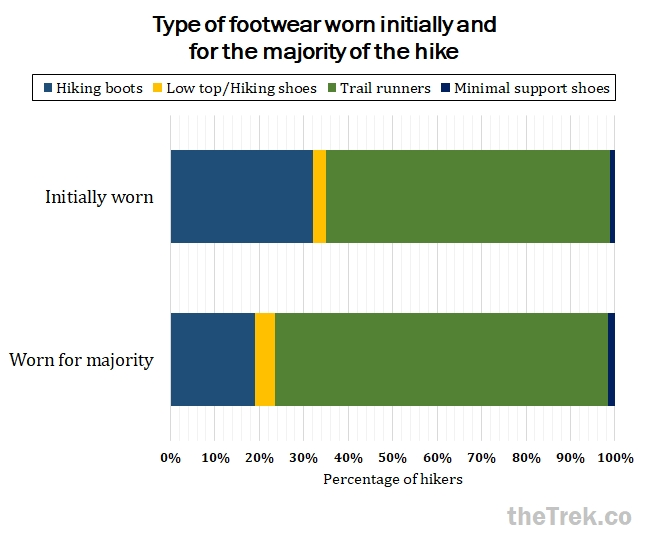 Hikers with more experience opted for trail runners over hiking boots for the majority of their hikes, and many hikers switched to trail runners mid-hike. While boots may still be preferable during the snowy sections, we recommend that hikers planning thru-hikes or long sections should consider lightweight, more flexible shoes. In general, thru-hikers should plan to go through three to four pairs of shoes, although hikers walking more miles per day should expect to go through a few more (possibly four to six). Salomon remains the most popular brand for hiking boots among AT long-distance hikers, with Altra as the most popular brand for trail runners. The Salomon XA Pro 3D, the Altra Lone Peak series, and the Brooks Cascadias were the most popular models. Darn Tough, Injinji, and Smartwool socks were all well represented on the AT but Darn Tough were by far the most popular socks. Many thanks to the hikers who participated in the survey! Congratulations to you all! I would never get this data collected or get these posts done if it weren’t for Zach Davis and Maggie Slepian—thanks to you both. Check out our previous post with general hiker information. 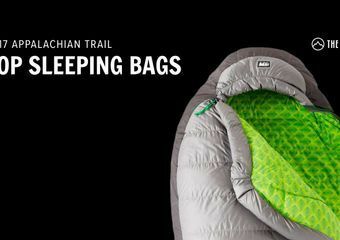 Previous posts on the 2017 hiker survey also covered shelter systems (hammocks and tents), sleeping bags and hammock quilts, and backpacks and shakedowns. To stay updated on the subsequent hiker survey posts, subscribe to The Trek newsletter. For starting footwear type and satisfaction, Pearson’s r = -.19, p = .0019. For majority footwear type and satisfaction, Pearson’s r = -.05, r = .48. A multivariate linear regression was conducted predicting type of footwear worn for the majority of the hike. Age and Gender were entered in Block 1. Previous hiking experience was entered in Block 2. Distance hiked was entered in Block 3. All three overall models were significant (p < .05). In Model 1, age was the only significant predictor (β = .009, t = 21.62, df = 246, p < .001). In Model 2, age (β = .010, t = 2.26, df=245, p = .02) and prior experience (β = -.064, t = -2.064, df = 245, p = .04) were both significant. In model 3, distance hiked was significant but age and prior experience were not (β = -.0002, t = -2.216, df = 242, p = .03). A multivariate linear regression was conducted predicting number of pairs of shoes worn. Age and Gender were entered in Block 1. Distance hiked and average miles per day were entered in Block 2. Initial shoe type/support level and initial satisfaction were entered in Block 3. Model 1 was not significant (p > .05), but Models 2 and 3 were (p < .001). In Model 2, distance hiked significantly predicted number of replacements (β = .001, t = 9.257, df = 243, p < .001). In model 3, distance hiked (β = .001, t = 9.332, df = 228, p < .001) and miles per day (β = .041, t = 2.157, df = 228, p = .032) both significantly predicted number of footwear replacements. Mean for all hikers = 3.38 pairs. 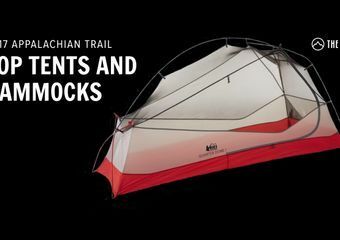 Mean for thru-hikers = 3.63 pairs. Interquartile range for both was 3 to 4 pairs. On my 3rd pair of Altra Lone Peak 3.5 all the way! Great traction, dry quick, built-in gaiter cleats. Love’m! I find it fascinating to look at the way footgear choice has changed over the last five years. Too bad there is not an additional axis for wide vs. narrow feet. While “rating” sites put the Salomon Ultra often at the top, I thought it was interesting that hikers put XA Pro 3D at the top — which explains why the XA is available in a wide and the Ultra is not. Also interesting in that the XA comes in a shoe as well as a boot. The most popular footwear brand was Salomon, worn by 1 in 5 hikers. Merrell and Brooks were the next most popular, followed by Keen, Vasque, and Oboz. The most popular Salomon model were the men’s and women’s XA Pro 3D, worn by 5.3% of hikers in our sample. The most popular Merrell model was the Moab Ventilator (also with Men’s and Women’s models), worn by 4.6% of hikers. As in years past, Salomon, Brooks, and Merrell were among the most popular footwear brands of AT long-distance hikers. Salomon was the top brand, as before, but Altra entered the running, from being worn by less than 4 percent of hikers last year, to over 12 percent this year. I think it is interesting that all of the top three lost ground last year. With nothing that appears to have made enough of an impact out of those losses to show up. Almost a 14% segment out of the erosion without anything taking enough of that segment to show up (given that Smartwool shows up at 6.3%). Hoping you survive grad school. Just looking for more statistics as we get closer to 2019 as I know people planning to through hike in 2019 and I’m curious about trends from 2012 to 2018. Best wishes and keep up the good fight.